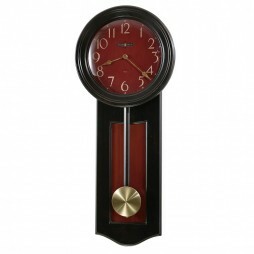 This stunning Howard Miller wall clock will add a lovely touch to your home or office. 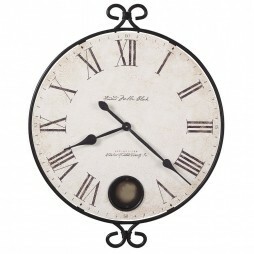 A perfect wall clock to pair with any home décor on your wall. 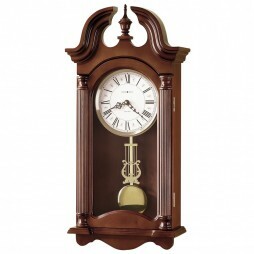 This chiming wall clock has a gently arched bonnet with an Ivory dial with a polished brass bezel. 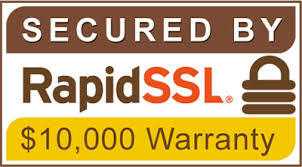 It is accented by beautiful Arabic numerals and decorative hands. 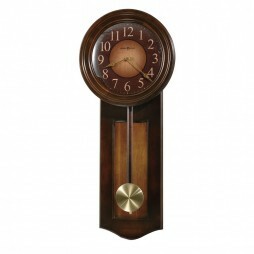 Other stunning features this clock has to offer is it's polished brass pendulum, that features a decorative grid. This classic timepiece features a Westminster chime movement with a silent option to give you silence when needed. 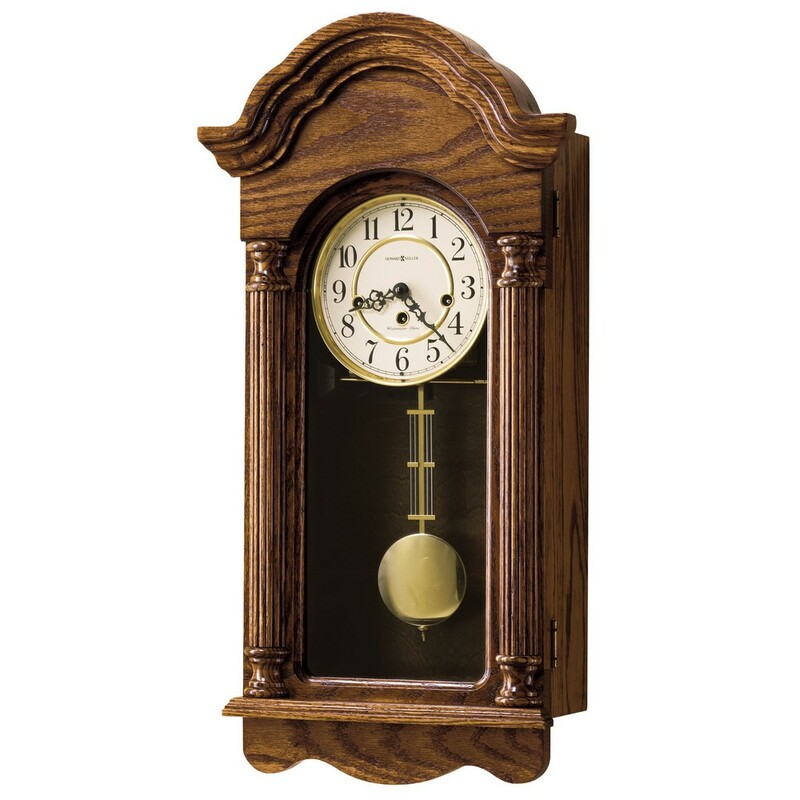 It is a stunning and beautiful pendulum clock like no other. Ivory dial features polished brass bezel, Arabic numerals and decorative hands.